Merci Capital Inc. is a private money lender in Ontario, Canada. It is a group of mortgage professionals with more than 10 years of experience in the industry. It invests in high yielding, short-term first and second residential and commercial mortgages. Its rates and fees vary per project and borrower. It can lend up to $5 million and funds loans within three to five days. Ready to get started with Merci Capital Inc.? Apply now. 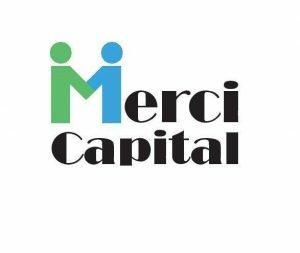 Business Name Merci Capital Inc.
Merci Capital is one of Ontario’s leading private money lenders. We issue most commitments within two to three days and don’t accept deals that we can’t fund. Merci Capital invests in high-yielding, short-term first and second residential and commercial Ontario Mortgages. Every investment is based on a thorough investigation of the property. Loan sizes are typically $50,000 to $5 million. We work with borrowers to expedite their loan requirements with an acceptable and transparent level of risk. What the difference is at Merci Capital is that we are collective mortgage professionals with more than 10 years of experience in the industry. Our experience draws us to the most efficient solution, a solution that meets your needs and ours. We work with our investors on first come-first serve basis instead of using a waiting list for our investors.